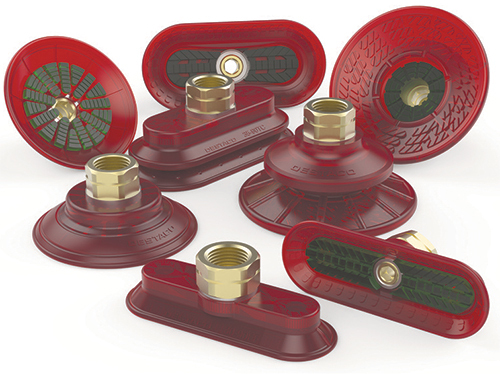 Destaco, Auburn Hills, MI, has launched its new Accelerate collection of vacuum cups, made of a wide range of aluminum end-effector components and offering improved traction, enhanced durability and higher throughput for high-speed transfer-press applications. The vacuum cups feature an antislip tread pattern made from a high-performance polyurethane material for superior holding on oily surfaces. The new line includes four cup styles in 17 sizes.